Last time it was Paris this time Istanbul. Bryan Mills (Liam Neeson) is a retired CIA operative with a particular set of skills which includes 1001 ways to kill people. What do trained assassins do when they retire? The only thing they know how to do - kill people. This sequel is predictable as it pits Mills against the Albanian Mafia seeking revenge for their family members killed by Mills in Paris in the franchise opener. 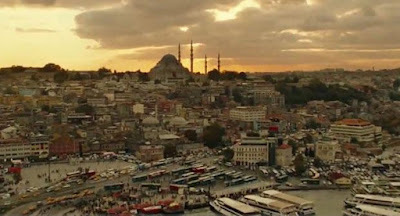 What is guaranteed is the prospect of car chases through the streets of Istanbul, chases on foot over the rooftops of the Bazaar (homage to James Bond?) and sweeping views of the Bosphorus - oh did I mention another pile of bodies? It delivers all of these - and little else. As his daughter and wife team up with him for a family holiday in Istanbul after he completes a protection job, so the Albanians arrive in town and kidnap his wife and daughter. The narrative arc is straightforward and the only question is will vengeance be served or will the goodie prevail? Well, this is a film that espouses Western values and we all know how well Disney has prepared us for a happy ending. In reality this film is an excuse for an action movie kill-fest. You know it will be that so don't try and watch it pretending it might be something else. The only glimmer of hope is the ageing Mills' growing sense of fatigue with the whole assassination thing and the hope of a negotiated settlement father-to-father between Mills and Murad Krasniqi (Rade Serbedzija) the leader of the Albanians. 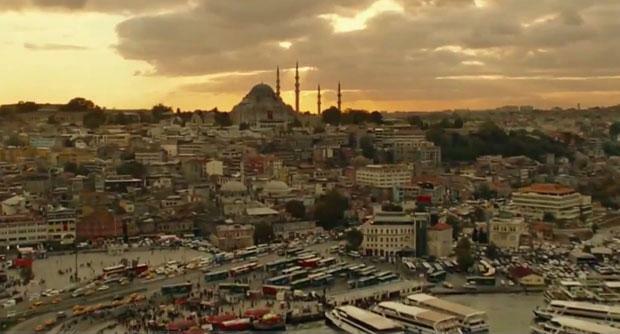 The final killing pays homage to Midnight Express also filmed in Istanbul. There are hints throughout the film that Mills is operating to a higher level of moral integrity - but as he wades through thugs and villains this notion rings hollow. This was fine for a Saturday TV evening on my own (oh how I hate ad breaks). There are many holes in the plot like driving over the border from Albania into Turkey - I could go on, and on and on.... Having laid waste to dozens of people in Paris and Istanbul, I doubt the LA setting of Taken 3 does anything to improve the franchise. I won't be hurrying to see it. I'll wait for another Saturday night on my own! I'll give it 5/10.